An RAF servicewoman who has raised more than £40,000 for charity despite battling terminal lung cancer picked up the top award at this year’s Sue Ryder Women of Achievement awards. Flight Sergeant Anna Irwin, who is based at RAF Benson, decided to take on a series of physical challenges including triathlons, skydiving and mountain climbing after being diagnosed in April last year. She is raising for the Teenage Cancer Trust and the Royal Marsden Hospital in London, where she is receiving treatment. Flt Sgt Irwin won both the services category and the overall Robyn Jones award at Friday’s ceremony, which was held at Trunkwell House, near Reading, with more than 200 guests. She was one of 14 women or teams from the Henley area to be nominated in the annual awards. The ceremony was hosted by Jonty Hearnden, an antiques expert and TV presenter. Other local winners included Val Stoner, a reiki and crystal healing therapist and charity volunteer of more than 50 years, who picked up the community award. Shiplake College head of sixth form Emily Wilkinson, who has overcome the death of her mother and the debilitating bowel condition Crohn’s disease, also won the young woman of achievement award. 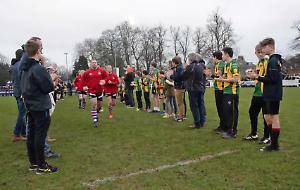 For a full report and pictures see this week’s Henley Standard.